Dark Souls 3 might not be out for a few days, but it’s already available to pre-load now. Praise the sun, bark at the moon and howl at your mum. Prepare yourself for the terror of Lothric by playing our list of best zombie games. If you’ve already bought the game, you should see the pre-load option on Steam now. If not, a quick restart will sort it out, just like Dark Souls’ cycle of death. Make sure you’ve got 20GB free on your machine first, though. Just in case you get playing only to find out you’re one of the Window 10 users affected by an annoying Xbox 360 controller bug, have a look at how to fix that over here. Always be ready when it comes to Dark Souls. Reading that is essentially raising your shield before entering a darkened room. 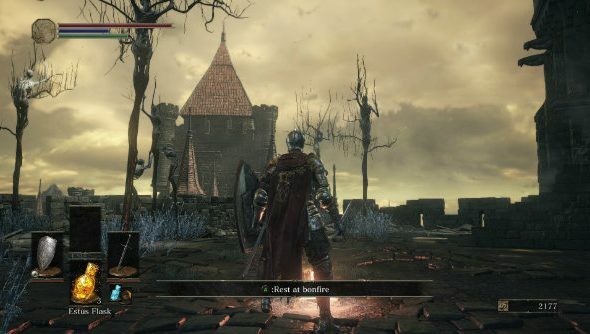 Have a read of our Dark Souls 3 PC port review to see how it holds up technically.